Q. 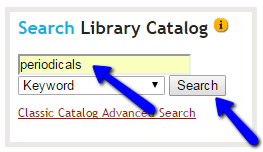 How can I find browsing periodicals? 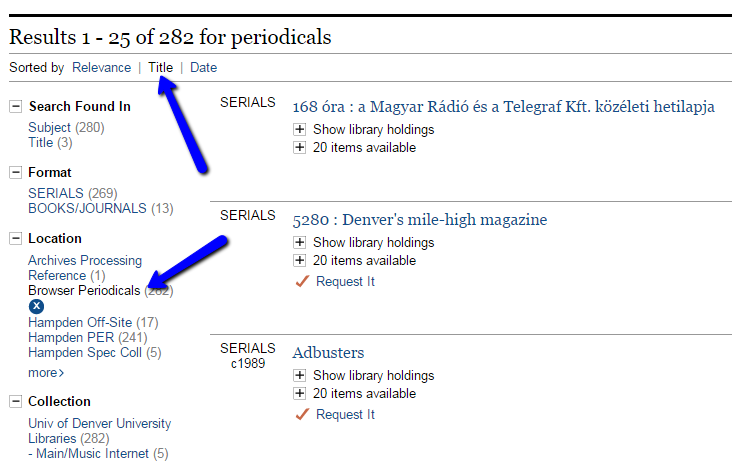 Did you know that the Main Library has a collection of print periodicals on the main level? This collection, housed in the Front Porch Café, was created to showcase magazines and journals that are especially popular (in English and foreign languages), visual, or entertaining; in other words, those that are best enjoyed in print. Examples include Gastronomica: The Journal of Food and Culture, Professional Photographer, and Wired. If you have any questions, please contact the Research Center at research@du.libanswers.com.